Are you a true Wedding Professional? Or are you just Playing Wedding? Are you a real wedding professional? 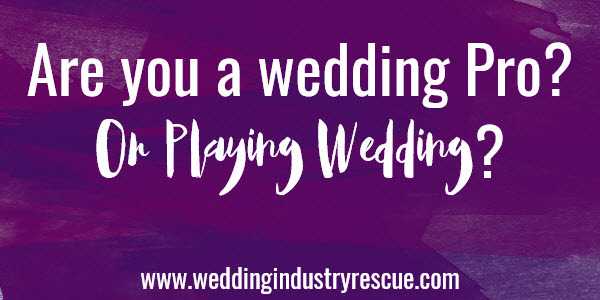 Or are you just playing wedding with your wedding business? We all know that you can have an absolute blast in this industry. It’s filled with constant glamorous parties and is an industry that is really all about the fun! Yes, this is a business too. And there are definitely some less than glamorous tasks, but a lot of wedding and event business owners get so caught up in the hoopla that they fail to treat their business like a business and get trapped in the business of being busy. They’re running from meeting to meeting, they spend oodles of time on the phone, and hours on Pinterest. All for their clients, of course. Watching this whole scenario play out in front of my eyes with a friend of mine in the industry this past week really got me to thinking about those out there “playing wedding”. I truly don’t mean that comment to pick on her in particular. She didn’t even realize she was doing it. But there she was, filling her days with filler activities so she could play wedding planner. We spent some time together reviewing her options for getting her s**t together, moving forward. She’s a wedding planner and was keeping track of everything about her clients on word documents and paper notes she’d written, which was kind of insane to see. (To tattle on myself a bit – I am a crazy note taker, so I can understand this to some degree. But not as my whole system of record keeping.) This was indeed her whole system. Which basically means she had NO SYSTEM. We had to sort through a lot of issues (both professional and personal) to get to a logical place to start from. So, what are the signs that flag you as playing wedding and not as a wedding professional? More than you might think. And your potential client can see it too. Even though you don’t think so. A few years ago I was meeting with a potential client in my office. They had the largest budget I had ever worked with at that time. I wanted to book that wedding! I remained calm, went through the same steps I take with all of my potential wedding clients, and booked that client! I didn’t find out until after they signed the contract that they had met with 2 other planners before meeting with me. They shared with me that the last planner couldn’t find her paperwork and kept rummaging through drawers to find things the whole meeting. The first planner was late, had her bra strap hanging down her arm the whole meeting, and took a call during their time together. If this sounds like you, let this serve as clue number one that you’re just “playing wedding”. Professionals have systems! Systems go way beyond paperwork and computer programs. Systems, when set in place, affect everything you do. It even affects your ability to remain calm in a stressful sales situation. Because you can take comfort in the fact that you have supported yourself with these systems after the sale, instead of just hoping you have it together enough to maintain this dream client. With systems in place, you’ll KNOW you can do it. If the first 2 planners had behaved like professionals and set up a proper filing system, had an appropriate system for handling scheduling and appointments so they could have arrived on time, and had set up an answering service to take their calls while they were in a meeting, I may not have gotten that client. But they were having a fine time playing wedding. Their loss. 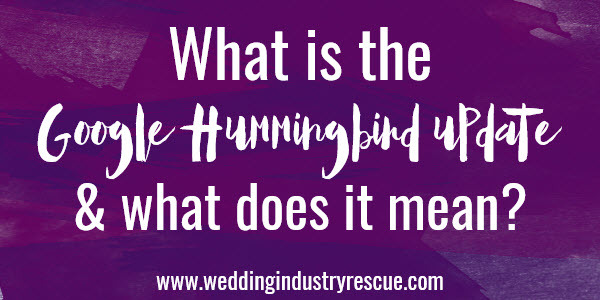 Clue number two that you’re “playing wedding” is that you can never quite find the time to read a book…or go to an industry event…you know, because you’re just so busy Pinteresting. Beyond making the sale, professionals invest in themselves and their staff in a variety of ways. 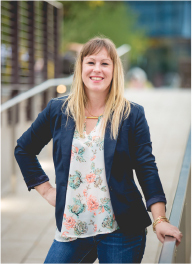 They do this by providing learning opportunities, attending conferences, belonging to a mastermind or consulting group, and they are often active in their business community. Clue number 3 – Tracking and Monitoring! True professionals have systems in place to monitor, track, and review their businesses and all of its working parts. If they have salespeople, they track their activities and production. If they have a website, they track their Google Analytics and determine how it’s adding to the success of their business overall. And they even track their clients – how many hours they spend on each one, how much a client is worth over the lifetime of their business, and more. The professional knows how much money is coming in and knows how much money is going out – always. The person playing wedding may have only a couple of these attributes, or none at all. And they’re often trying to figure out why their business isn’t doing as well as they’d expect. I can almost always count on the fact that they won’t be able to tell me much about their finances with any clarity. It is clear to me, their peers, and most of their clients, that they are not a professional. So, what systems do you currently use in your day to day wedding business that you couldn’t live without? ?